Kentucky has a tremendous heritage of spiritual awakening, and many are praying that God will again sweep the state with a spirit of revival. We call Kentucky Baptists to prayer through conferences, prayer meetings, and a network of prayer coordinators. We provide training, support, and resources for churches and associations that are interested in developing this most important discipline. Wherever you are on your spiritual journey, this 40-day devotional prayer guide by the KBC Church Consulting and Revitalization Team will help you on your way. From our Church Consulting & Revitalization Team's "Strengthening Congregational Prayer" guide, these inventories help evaluate a pastor's personal prayer life, the balance of a church's congregational prayer ministry, and the personal prayer lives of individual church members. To learn more about this resource, please talk with your Regional Consultant. The president of the Southern Baptist Convention challenges church leaders to teach their congregations to pray. All Christians know they should pray, but sometimes it's hard to know how – especially if the minutes start to drag and minds wander. Offering readers hope, encouragement, and the practical advice they're looking for, this concise book by professor Donald Whitney outlines a simple, time-tested method that can help transform prayer lives: praying the words of the Bible. Praying the Bible shows readers how to pray through portions of Scripture one line at a time, helping them stay focused by allowing God's Word itself to direct their thoughts and words. Simple yet profound, this resource will prove invaluable to all Christians as they seek to commune with their heavenly Father in prayer each and every day. Drawn from a rich heritage, Spiritual Disciplines for the Christian Life will guide you through a carefully selected array of disciplines. By illustrating why the disciplines are important, showing how each one will help you grow in godliness, and offering practical suggestions for cultivating them, the book provides you with a refreshing opportunity to become more like Christ and grow in character and maturity. Former Southern Baptist Convention President Ronnie Floyd released a motivational book to help pastors and churches across the SBC engage in concerted prayer for the next great awakening in advance of the 2015 annual meeting. Floyd highlights several recommendations from his e-book: intercessory prayer for pastors on Saturday evenings and Sunday mornings in advance of weekly sermons; a month of preaching on the subjects of repentance, extraordinary prayer, revival, awakening, and teaching on God's Word; the dedication of a full Sunday morning worship service to congregational prayer; a day of prayer and fasting in May; and attendance at the Columbus meeting. Although fasting is an almost forgotten practice, this biblical principle is an important part of worship and prayer. Fasting helps us to focus on matters of the Spirit. This guide, written by John Harris, will help you understand the basics of fasting. This color cardstock guide fits nicely in your pocket or the palm of your hand and provides helpful information for prayerwalkers. It gives Scripture references and specific suggestions concerning how to pray for homes, marriages, schools, churches, lost individuals, and communities. Click here to order the guide in bulk. Or, you can click here to download the guide (also available here in Spanish). Prayer for the church is not a casual practice, but communion between Christ and His body that is as intimate as communion between a husband and a wife. And for the church, corporate prayer is not an optional ritual but a commanded expectation. However, having an effective corporate experience of prayer – whether in a large congregational setting or a small group – depends on many factors. John Franklin highlights not only the theology behind powerful corporate prayer times, but also the effective habits and practices of a praying church. A God-centered prayer format is central to having a "God experience" in the corporate church setting. Filmed in front of a live audience, John Franklin highlights not only the theology behind powerful corporate prayer times, but also the effective habits and practices of a praying church. Based on Franklin's book, "And the Place Was Shaken: How to Lead a Dynamic Prayer Meeting," this DVD is a powerful resource for pastors and prayer leaders. Learn why God especially requires corporate prayer; identify hidden foundations to dynamic prayer; discover three things God wants to do in a prayer meeting; learn how to design and lead a powerful prayer meeting; and observe Dr. Franklin as he models how to lead a dynamic prayer experience. The DVD also includes downloadable teaching handouts and PowerPoint presentations. The price is $12 (includes shipping) for Kentucky Baptist churches and ministries; $15 for out-of-state sales. John Franklin followed up his prayer-focused book, "And the Place was Shaken," with a challenging and helpful resource on spiritual awakening. Filmed before a live audience at the Kentucky Baptist Building in Louisville in 2012, "Oh, That You Would Rend the Heavens" explores the question: "What will it take for spiritual awakening?" Could it happen again today? Whether it does or not depends on God, us knowing the ways of God, and our response to Him. In this study, Franklin outlines biblical reasons why the kind of massive spiritual revival that began right here in Kentucky in 1800 seems to elude us today. How are Christians to respond so that God's Spirit once again will blow the flames of awakening across Kentucky and the world? The price is $15.00 (includes shipping). Click here to download the accompanying presentation. The Praying Church Sourcebook is a complete guide for churches that want to focus on prayer. It contains ideas and tips for pastors, individuals, families, and the church. The book fatures valuable teaching on prayer, true stories of prayer in action, a directory of selected prayer ministries, and a reading list of classic and contemporary books on prayer. Is your youth ministry building prayer into the lives of tomorrow's leaders? Youth Ministry on Your Knees will help you and the young people you lead develop a rich and effective prayer life that will impact generations to come. Nationally-recognized youth ministry consultant Mike Higgs shares a wealth of practical and proven youth prayer ideas drawn from 30 years of experience. A House of Prayer offers pastors, church staff, and prayer leaders practical guidance for establishing or strengthening their churches' prayer ministries. This guide includes prayer basics, how to start a prayer ministry, organizing an intercessory prayer room, keys to dynamic prayer meetings, prayer-ministry ideas, and prayer resources and networks. This book is an elegant devotional containing 100 selections from the writings of Evelyn Christenson on the subject of prayer. It addresses such important topics as motives in prayer, responding to God’s answers, and approaching prayer with a pure heart. 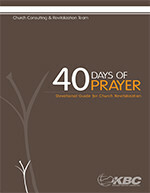 This book helps adults learn to pray experientially based on the prayers of the Bible. Through personal, daily study and 12 weekly small-group meetings, members will discover practical experiences that strengthen and deepen their prayer lives and help churches develop an intercessory prayer ministry. Disciple’s Prayer Life has been reformatted into a more user-friendly design with leadership materials included. This unique devotional and prayer journal by Beth Moore contains 70 daily meditations on a broad range of topics for women. It also ontains a section to record prayer petitions based on the PRAISE acrostic and separate group study plans. It is ideal for personal and group study, as well as to give as a gift. This 12-week study goes back to the biblical basics of prayer and clearing up myths about prayer to rev up a powerful, ongoing connection to God that can invigorate every aspect of a believer's life. Jennifer Kennedy Dean tackles complex theological questions: If God is sovereign, why pray? If prayer is not a way to change God's mind, what is it? As she illustrates, prayer is a way for God to send His power and provision into the world through His people. The study takes a detailed look at prayer's purpose, process, promise, and practice. In her 40-day program for spiritual renewal, Jennifer Kennedy Dean assists readers in discovering their potential for an inner transformation that will make them sensitive to God's shaping hand. Based on biblical precedents, He Restores My Soul guides readers toward quiet moments of worship called "retreats" – special times in the presence of God when the soul and self can be revitalized. By emphasizing the importance of Scripture, quiet reflection, listening prayer, and worship, Dean helps Christians become pure as silver, reflecting the true glory of God. This six-week Bible study is a tool that can transform a willing believer into an effective prayerwalker. It helps prepare readers for on-site praying, local and global ministry, and spiritual warfare. Designed for individual and group study, it is divided into six five-day sessions and includes a leader's guide and questions for personal reflection. Taking Prayer to the Streets is an intentional coordinated effort to pray for and share Jesus with every person in a chosen geographical area or cultural community. The material is designed to be covered in 12 sessions in either a group or personal study. It explores the three aspects of developing an evangelistic prayer life in the heart of the church: becoming more faithful in prayer, prayerwalking and congregational involvement, and the strategies and principles of Great Commission prayer. Taking Prayer to the Streets offers a simple plan and practical help for putting faith and prayer into practice. Filled with stories and step-by-step instruction, this guide is a treasure chest of inspiration for unleashing the power of God through prayer. Based on the author's 20-year focus and teaching on prayer, this book provides ways to strengthen one's communion with God, an examination of the power of praise, confession and repentance, and a practical explanation of Scripture praying. Our responsibility to be consistent and fruitful in prayer demands that we re-evaluate our past methodology and re-examine biblical truth to gain new insights and a fresh model for an intercessory prayer ministry. PrayTimer is a computer program and Bible study book designed to help maximize and expand a believer's prayer life by providing tools for individuals, prayer coordinators, and church staff members to manage, print, and distribute personal, congregational, or small-group prayer requests. The motivational Bible Study includes six sessions on prayer that can by used in a small-group setting or personal study. The PrayTimer software includes calendar options for recording prayer requests, downloadable files with specific national and international prayer requests, missionary birthdays, printable templates to help manage and customize prayer requests, Bible reading schedule and more. The guide provides simple, yet comprehensive instruction on this dynamic approach to prayer.